Camo covered Land Rover Discovery with optional third row. I always love it when a vehicle manufacturer provides photos of their latest as-yet-unveiled products wrapped in the camo that is designed to conceal them. 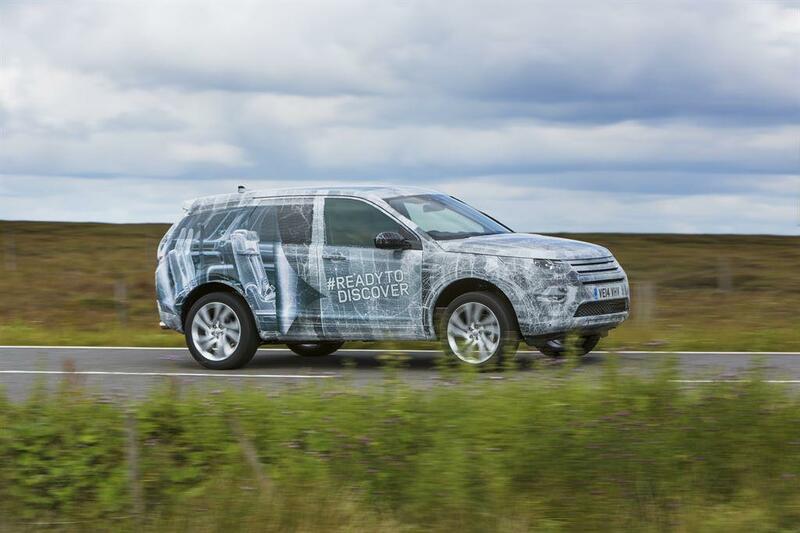 GM has often done it; and this time it’s the people at Land Rover who are giving us a chance to take the proverbial look under the petticoat as their latest offering. The upcoming Land Rover Discovery Sport, which will go on sale sometime in 2015 will be the latest addition to the compact SUV lineup, no doubt replacing an existing Land Rover model. It will be manufactured in Halewood, UK, and strongly resembles the concept Discovery that was previewed at the New York Auto Show earlier this year. For those who gave me heat when the jury named the Evoque as truck of the year at the North American International Auto Show, there may be more where that came from. The chassis and more for this new Discovery will probably be shared with that vehicle, although it won’t resemble the ‘soccer mom car’ that you chided me about. So, here is what I know officially: the camo, the pattern of which features hints to the interior, will offer the option of a third row — long requested from the consumers who love the brand — so this compact has the typical five-seat configuration plus an additional two rear seat option. Gerry McGovern, Land Rover’s design director and chief creative officer, says that this configurable seating will allow the new vehicle to have a more compact footprint than the traditional five-seat SUVs. No pricing or specific availability , as yet. I don’t expect it to tow more than 3,500 to 5,000 pounds.